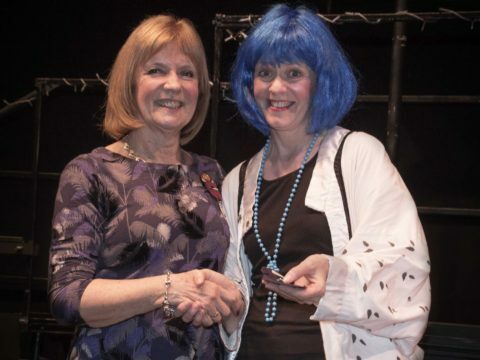 As a member of NODA Scotland it is our practice to give NODA awards to members when they reach certain milestones in their lives as amateur society members in any capacity. 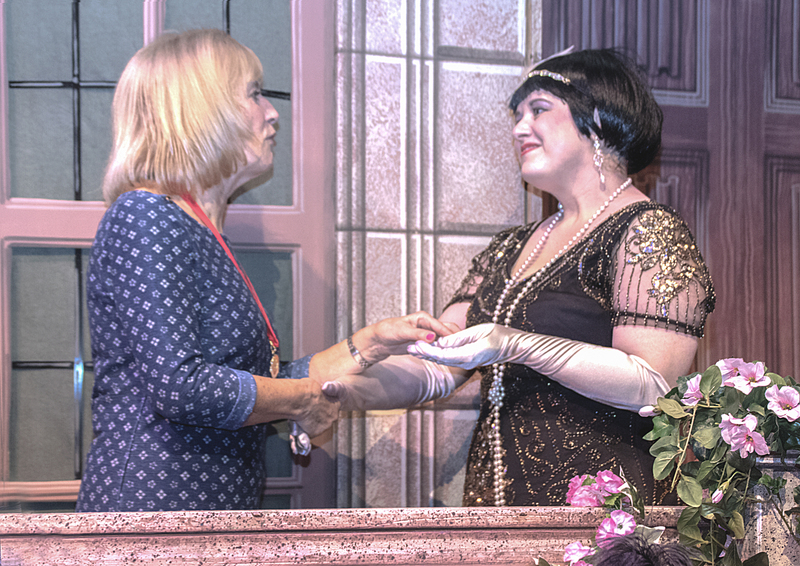 The slide-shows below were made from the presentation photos: hovering your mouse over the image area will pause the autoplay, or you can select a frame from the film-strip at the bottom. 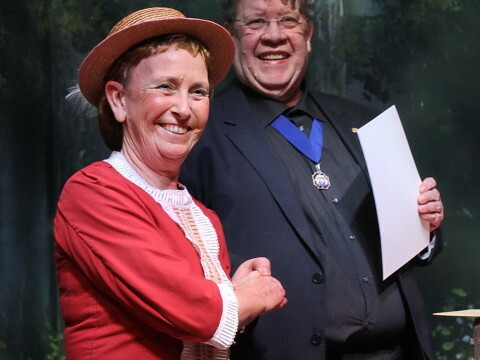 2019 saw just one presentation by Dorothy Johnstone, who gave Shan Edgar (fetchingly attired in her costume as Colleen Moore!) 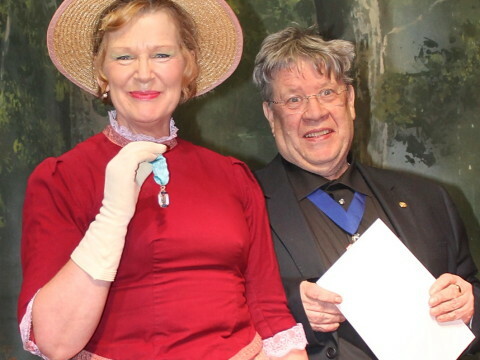 her ten-year medal. 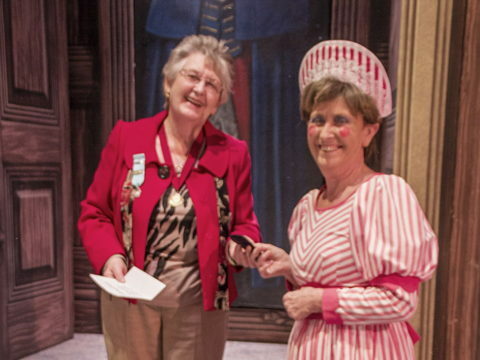 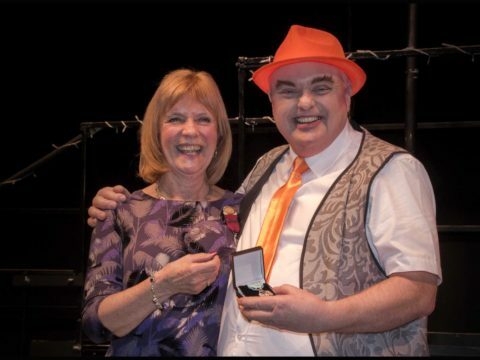 After the 2018 show on the Saturday afternoon, NODA awards were presented on-stage by Dorothy Johnstone, Regional Representative for District 6 (Edinburgh area), who recalled playing Yum-Yum in our very first Mikado production way back in 1971! 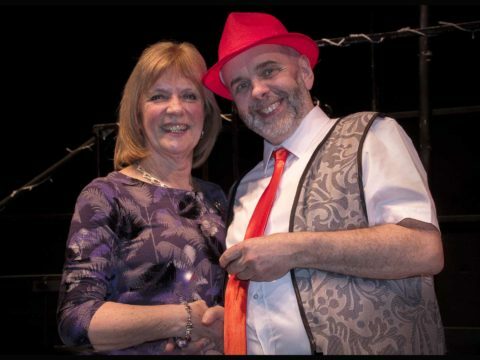 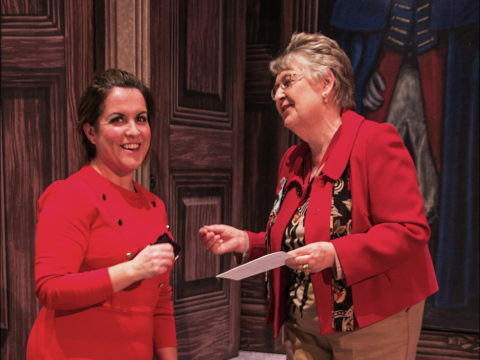 After the 2017 show on the Friday evening, the on-stage presentation of long service awards to four of our members was made by Elizabeth Donald, Regional Representative for District 3 (Falkirk area). 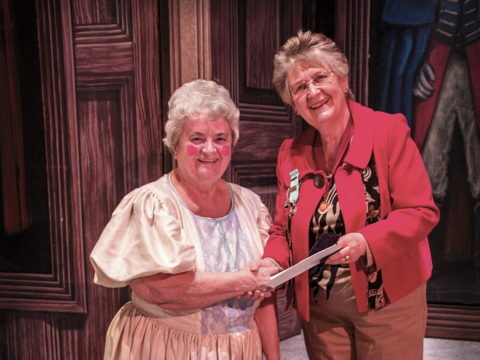 After the Saturday matinée of the 2016 show, six of our members received their awards from Dorothy Johnstone, the Regional Rep for District 6. 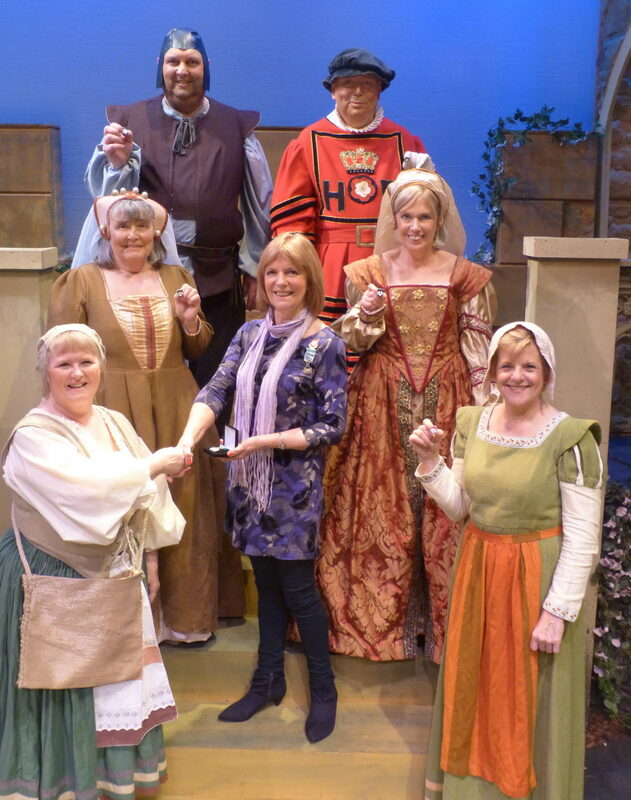 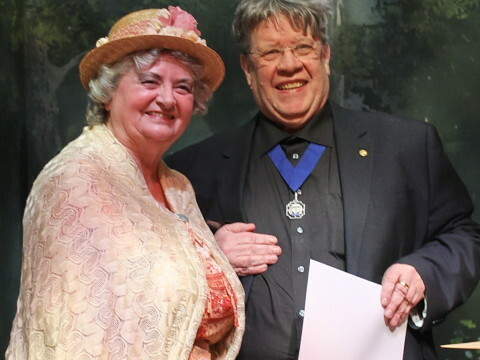 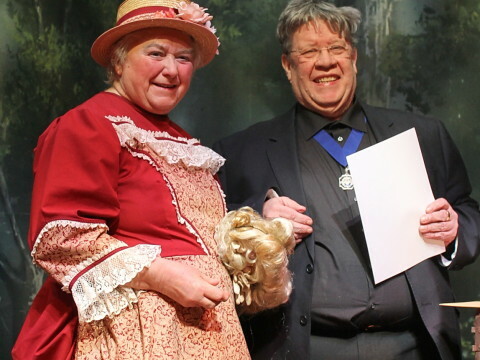 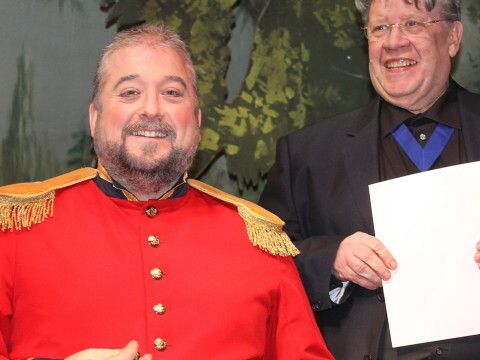 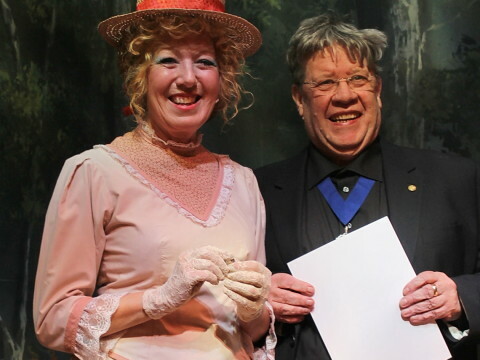 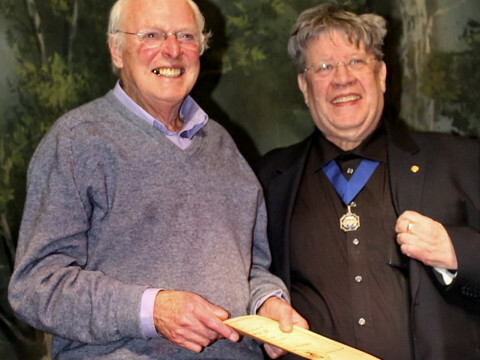 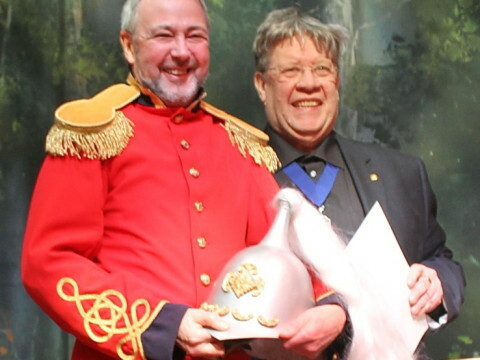 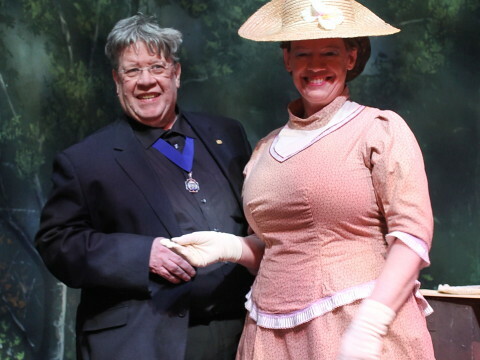 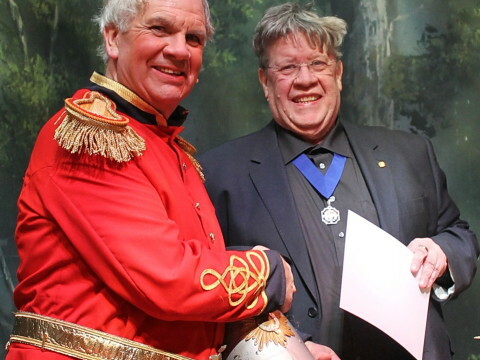 After the 2015 show on the Thursday evening, the on-stage presentation of long service awards to four of our members was made by John Barnes, the NODA National President for 2014-2015. 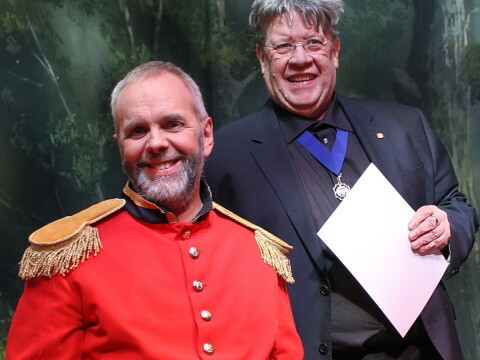 A singular honour to have John with us, all the way from Southampton. 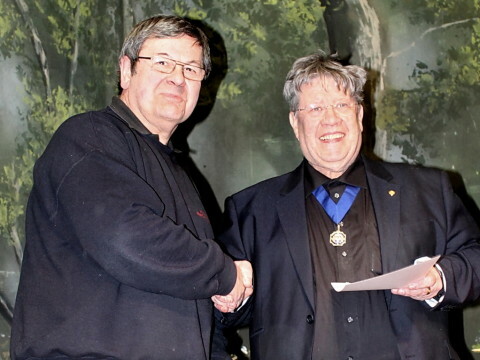 In 2014 Bob Cockburn was awarded a 20 year Badge. 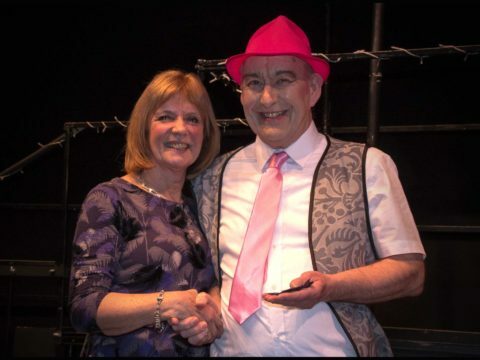 After the 2013 show on the Thursday evening, Gordon T Blackburn, Councillor for NODA Scotland, and a regular supporter of our Society, came on stage to present long service awards to what must surely have been a record number of our members. 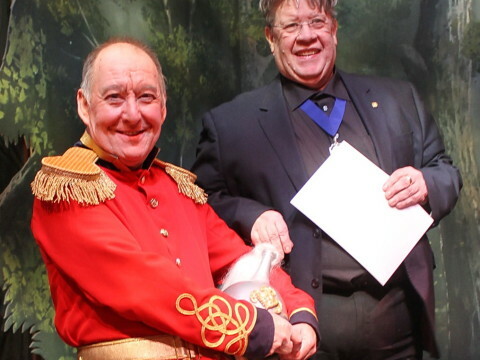 [John Allen was also awarded a 10 year Badge, but was too modest to appear on stage!] 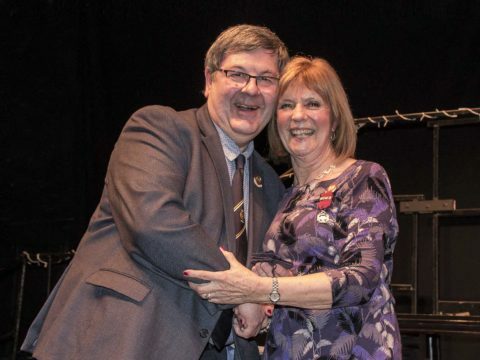 Particular mention must be made of that rare honour indeed, a 50 year Gold Bar awarded to Colin Stubbs.